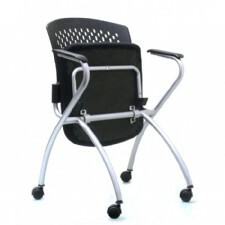 Ergo Monaco Flip Seat Nesting Guest Chair.™Molded foam black fabric seat. 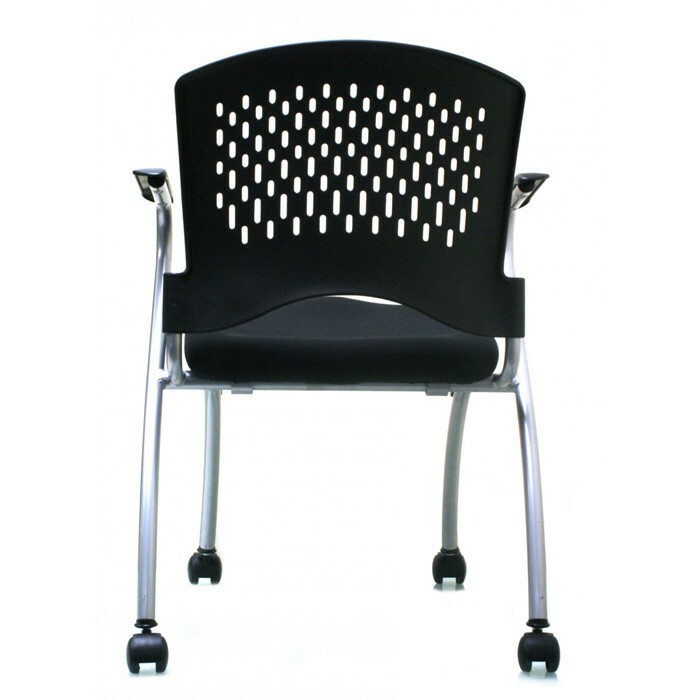 ™Perforated contoured black plastic back. ™Flip up seat for easy nesting. 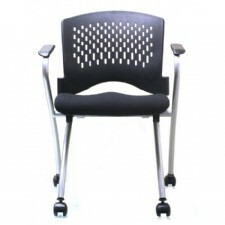 ™Silver powder coated frame finish. 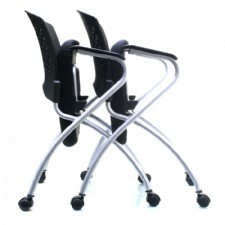 ™50mm nylon casters ™Notes: Packed two (2) per carton, sold in sets of two . PRICE LISTED IS PER CHAIR! 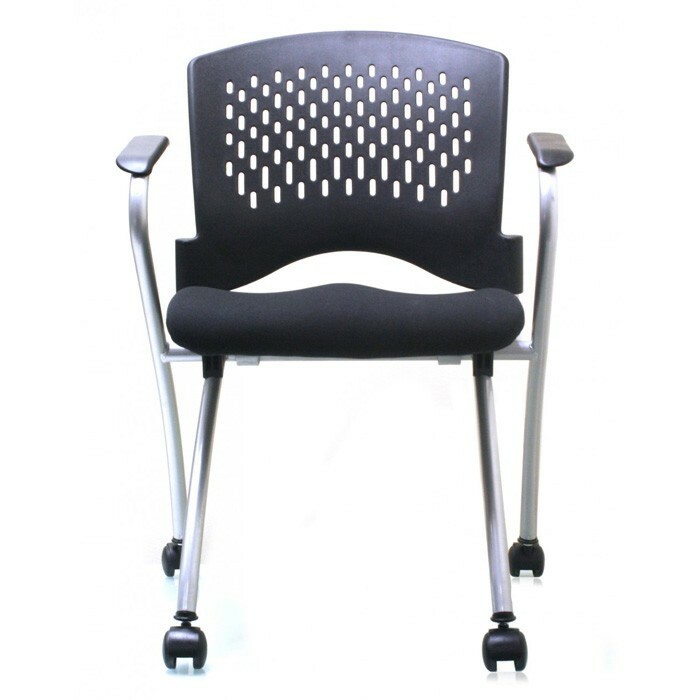 Our meeting and event Monaco seating will spoil your guests and employees with superior comfort and style The Monaco folding and stacking collection makes set up and tear down a breeze. 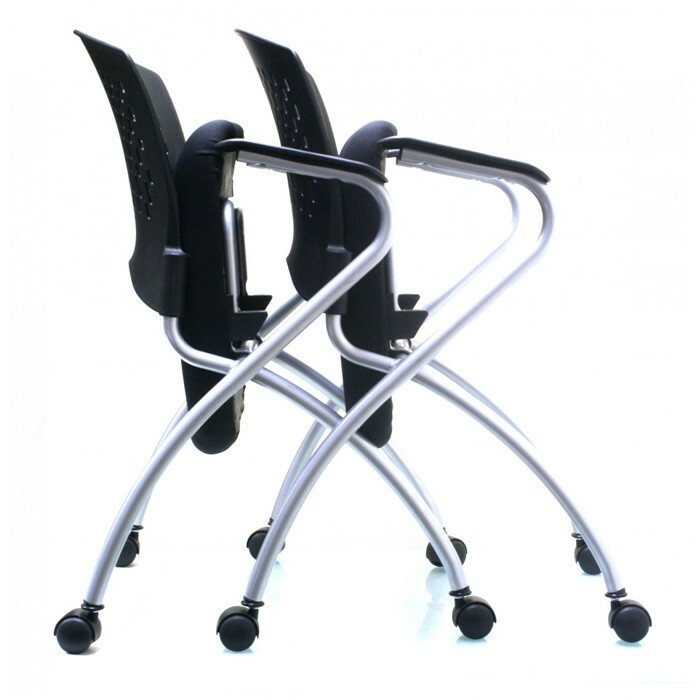 Flip up and fiip out over how easy it is to use our unique Monaco series featuring "flip up™ seats allow you to nest the chairs horizontally to maximize space. Molded foam black fabric seat, Perforated contoured black plastic back, Silver powder coated frame finish, Non-marring glides, 50mm nylon casters will increase height of seat approximately 1/2". Molded foam black fabric seat. 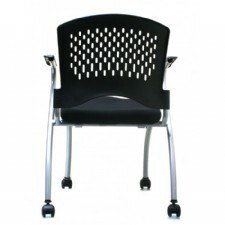 Perforated contoured black plastic back. 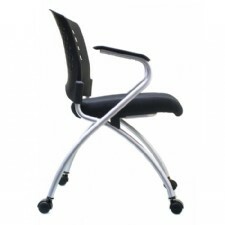 Flip up seat for easy nesting. Silver powder coated frame finish. 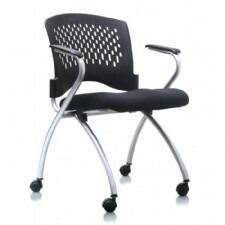 Training rooms, meeting rooms, event rooms, work activity rooms, guest seating, informal break out rooms.